Arash, one of the British hypercar manufacturers will participate in the Geneva Motor Show 2016 which will be held next month. By relying on the AF10 model, Arash believes will break the dominance of Ferrari products even Bugatti. As quoted from Carscoop, the Arash claimed their naughty AF10 hypercar has huge power, even it can beat LaFerrari that has a power of 600 hp. Not only that, the AF10 is also ready to break the power of the Bugatti Chiron engine, which reached 1,500 hp. In the event, Arash will present the most powerful hybrid variants which is combines a 6.2 liter supercharged V8 engine with four electric motors. Where the conventional engine power has an output of 900 hp. While the four electric motors each accounted for 295 hp. Overall the total power of this hypercar reach to 2,080 hp. 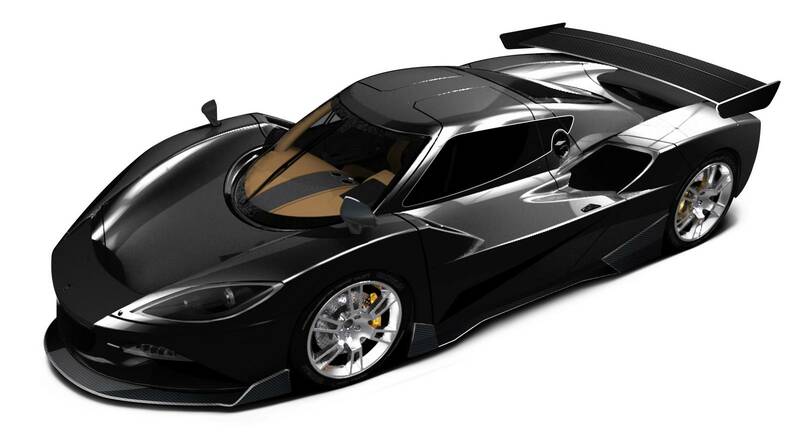 With the huge numbers of power, the AF10 hypercar can accelerate from 0 to 100 kilometers per hour only in 2.8 seconds. While its maximum speed penetrated the figures of 400 km/h. It thanks to the Arash AF10 has a light weight because its body is made of carbon fiber materials with the subframe constructed uses aluminum. Besides the naughty hybrid model, Arash will also bring the entry level product which uses a V8 engine capable of producing 550 hp of power.